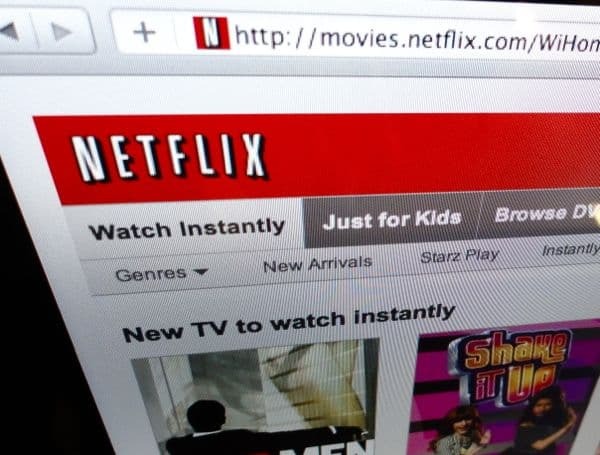 Netflix’s new, pricier subscription plans about to kick in; which one’s right for you? If you’re still signed up for one of Netflix’s cheaper streaming-and-DVD combo plans, it’s almost decision time. That’s because starting September 1, Netflix’s combination DVD and streaming plans will be replaced by new plans that will—particularly in the case of Netflix’s popular $9.99-a-month plan, good for unlimited streaming plus one at-home DVD—cost more. The heaviest Netflix users, on the other hand, might actually be in for a slight discount, while those who prefer DVDs to streaming also stand to save a little cash. If you do nothing, Netflix will simply sign you up for the equivalent of your current plan once your next bill hits. But there’s no need to wait if you’d rather change plans now. Netflix's new and old plans, compared; the grayed-out area represents new prices that are actually cheaper than the old ones. As you can see, Netflix users who’d previously signed up for unlimited streaming plus up to five at-home DVDs at a time can expect to pay anywhere from a dollar to $6 a month more once the new plans go into effect. 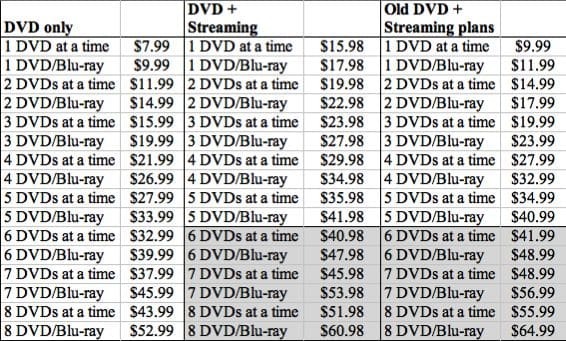 That said, something interesting happens once you start renting more than six DVDs at a time under the new pricing plan—in a word, savings, with the priciest 8-at-a-time DVD and streaming plan dropping from $55.99 to $51.98 under the new scheme. Those who could care less about streaming will save even more with Netflix’s DVD-only plans, which range from $7.99 to $52.99 a month. Last but not least, Netflix’s streaming-only plan will remain $7.99 a month. Of course, you can switch Netflix plans any time you want; just keep in mind that any changes won’t take effect until the end of your billing cycle. Personally, I’m sticking with my streaming/one disc at home plan, even though I’m looking at a $6 rate hike. Yes, paying more for the same is annoying. But the way I see it, my Netflix subscription still serves up tremendous bang for the buck—after all, we are talking more than 20,000 streaming movies and TV shows at my disposal, whenever and as often as I want. And while I like the flexibility of streaming, I also appreciate being able to watch the occasional Blu-ray for razor-sharp 1080p video and sterling sound. But that’s just me; what about you? Will you switch plans, stick with what you have, or tune out altogether? Click here for more Netflix news, tips, and how-tos. Verizon to ditch unlimited 3G smartphone plans starting in July?